Music plays a very important role in worship and fellowship at Second Baptist. There are several musical groups in the church: a Sanctuary Choir which performs contemporary, classical, or traditional liturgical music, a Folk Group which performs contemporary folk and liturgical music accompanied by guitars, a Hand Bell Choir which performs once a month and sometimes accompanies the Sanctuary choir as well, and the Singing Angels children's choir (Grades 3-6). Youth (ages 12-17) are welcome to join the choirs as well. During the summer soloists, instrumentalists, and small groups share their musical gifts. Our Director of Music Ministry, Evelyne Battle, conducts the Sanctuary Choir, Folk Group and the Singing Angels, assisted by our very talented Organist and Handbell Choir Director, Jean Aldrich-Jones. Our Music Committee meets after church every third Sunday. Our pastor also selects hymns and worship songs appropriate for the day's scripture and sermon from our Chalice Hymnal. Special musical events fill our calendar, such as the annual Community Christmas Concert, which includes community performers of all ages, occasional Hymn Sings, and a spring cantata or talent show. Once or twice a year, the Sanctuary Choir travels to Suffield House to sing for the folks there. We sometimes hire instrumentalists to accompany the Sanctuary Choir in the service and the church has hosted several other classical and folk musicians, including the Hot Cat Jazz Band, The Royal Brass Quintet, and the Tim Macri Trio in concert. 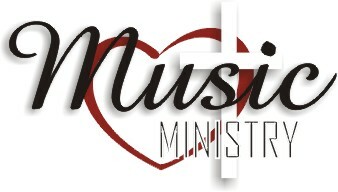 Our Music Ministries aren't all work! Our rehearsals are fun and spiritually uplifting, and we have two parties: an annual Christmas gathering and a picnic at the end of June. Please to get involved or call her at the church office at 860-668-1661.